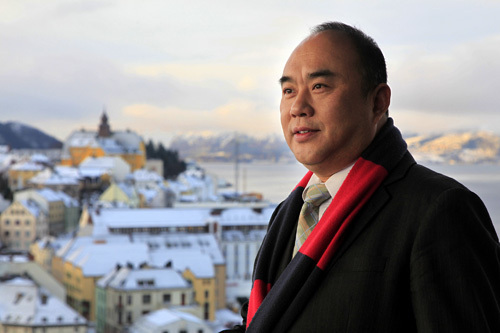 Simon Liang Xiaolei, former president and CEO of China’s bankrupt Sinopacific Shipbuilding, has been arrested in Yangon airport, Myanmar, accused of tax evasion in China. According to local reports, the Burmese police arrested Liang before he boarded a plane to Thailand under the request of Chinese police, who allege Liang has been unable to pay over RMB1m ($150,000) of tax owed. Liang was been transferred to Chinese police after the arrest. Once a major private shipbuilder in China, Sinopacific Shipbuilding was hit by a financial crisis and all the three subsidiary yards of Sinopacific, Zhejiang Shipbuilding, Dayang Shipbuilding and Sinopacific Offshore went into restructuring and were acquired by new owners. Liang’s privately owned Evergreen Holdings, which controls Sinopacific Shipbuilding, has been in deep financial trouble with total liabilities amounted to nearly RMB7bn. ($1.04bn). Last September, a local court in Beijing held an auction to sell a property owned by Liang at the request of his creditors.